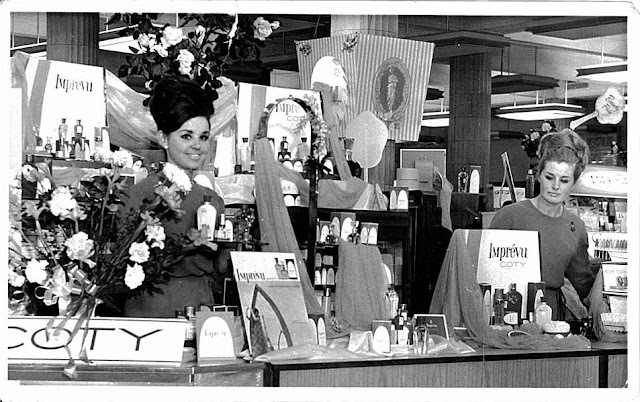 The above is my Nana on her Coty counter in 1966. 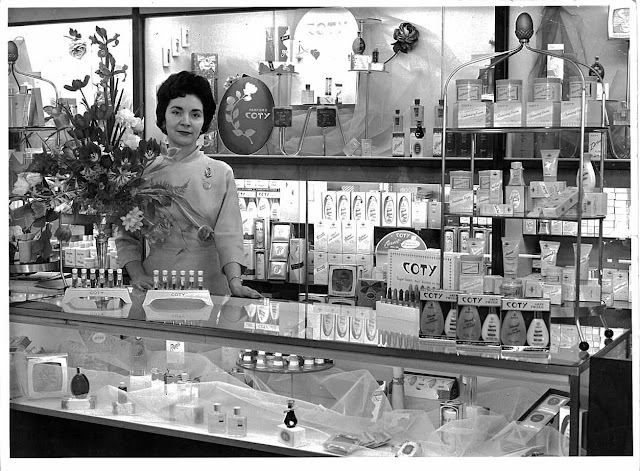 She went on to work for Guerlain for years – leaving me with a beautiful collection of antique Guerlain perfume bottles along with all of her old certificates and mementos. She always looked immaculate and smelled fabulous. And the big hair on the left belongs to my Mum – 1966. She went on to work for Helena Rubinstein among others right through to the 80’s. Our hallway at home was always filled with their tester units at the weekends when Mum was doing wedding make-ups. And then we have my daughter. 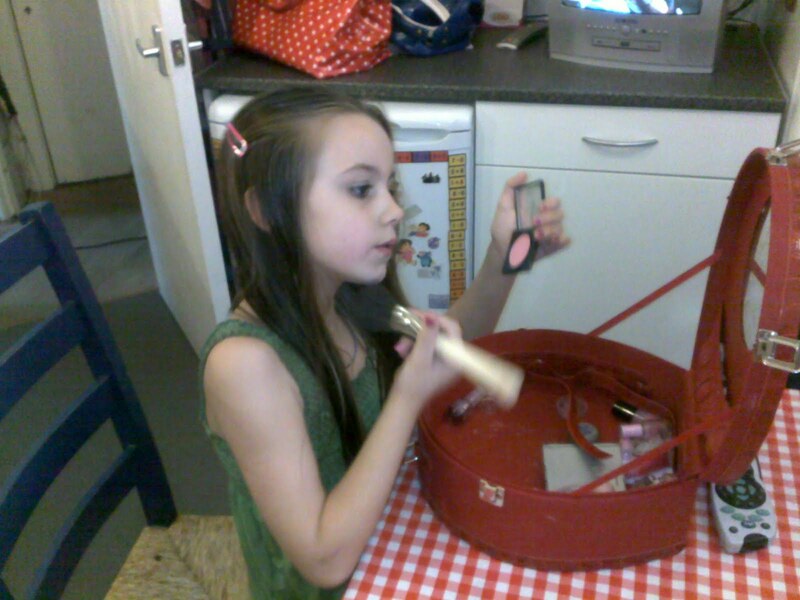 Who, although she loves make-up and advises her teenage brothers on skincare – assures me that she…..